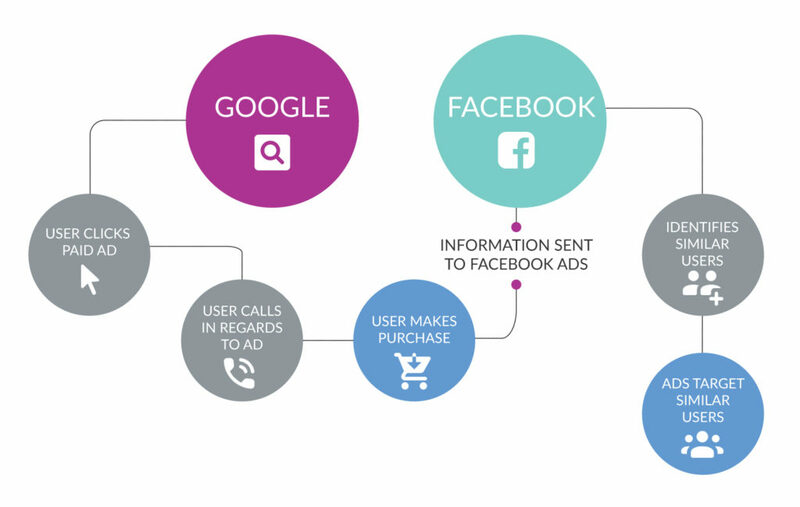 This integration allows Facebook advertisers with offline leads and sales from facebook ads to connect their conversions back to the original ads that users interacted with along the way. This helps advertisers build a more complete view of their campaign by viewing CTM activities in conjunction with Facebook reporting to optimize audience targeting and ad spend. We can push specific activity from your call log—for example, calls over a certain length, or sales over a set amount—to Facebook Ads Manager. Through the use of CTM’s triggers, you can also automatically apply a tag to incoming calls from leads who clicked through one of your Facebook ads. Our Facebook integration is currently available on both our Marketing & Contact Center plans.